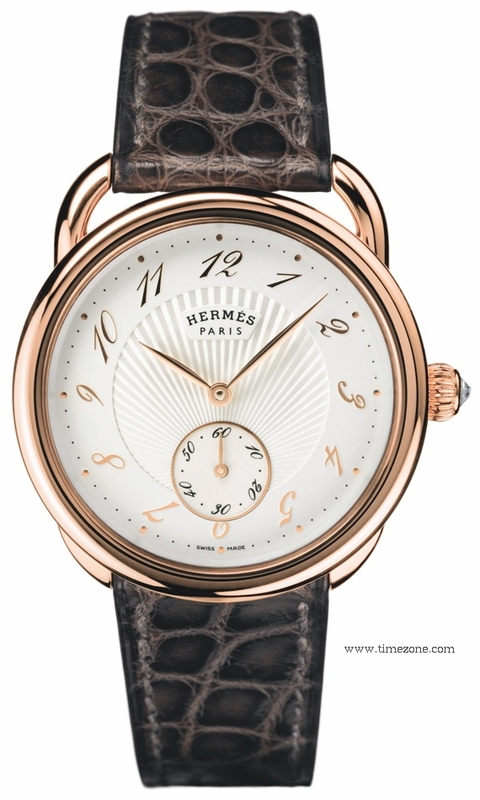 For 2012, La Montre Hermès enriches the Arceau collection with a new ladies’ model that houses its first H1912 movement designed specifically for this relaunched model. The new Arceau features the signature round case and asymmetrical stirrup-shaped lugs that are a tribute to the company's equestrian heritage; and the H1912 movement reaffirms the company's position as a fine watchmaker. 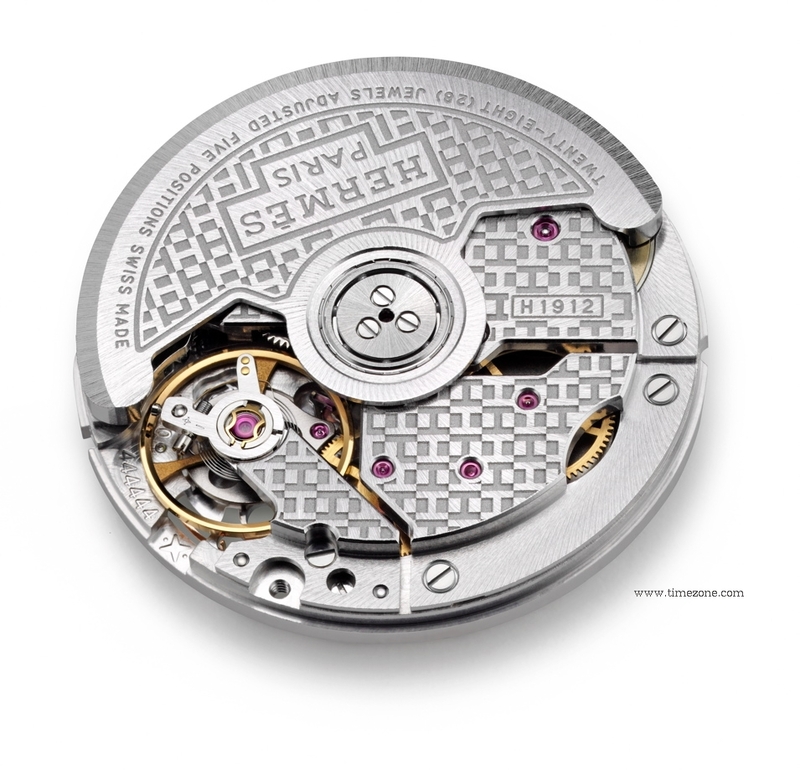 The 10 ½ lignes manufacture H1912 movement is a proprietary movement made exclusively for Hermès by Manufacture Vaucher; Hermès owns a 25% stake in the manufactory. 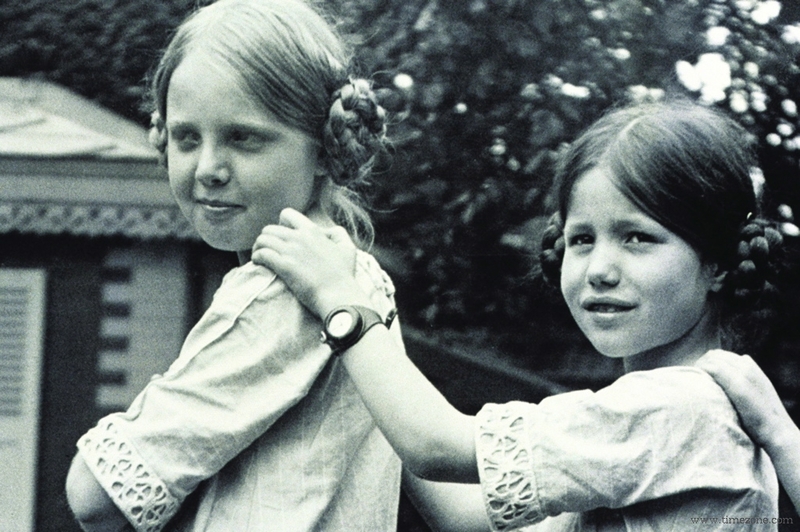 The H1912 name refers to the date of the photo in which Jacqueline Hermès is shown wearing a porte-oignon, an ingenious strap system serving to hold a pocket watch in place on the wrist. The Arceau is a refined and elegant timepiece. 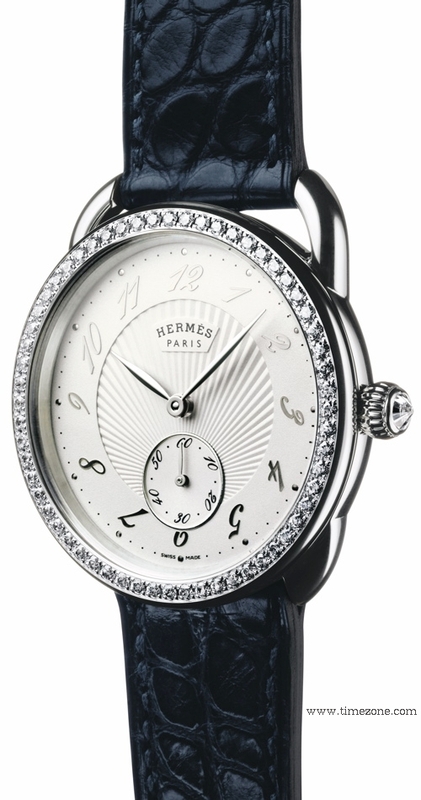 The dial features sloping numerals and a radiating motif centred around the small seconds. The crown is embellished with a rose-cut diamond. The new collection is available in six models: two in gemset steel, two in rose gold, and two in gemset rose gold with a choice of hand-sewn alligator straps in matte black, havana or blue. The range is complemented by a 100-piece limited edition to celebrate the watchmaking centenary of the House. 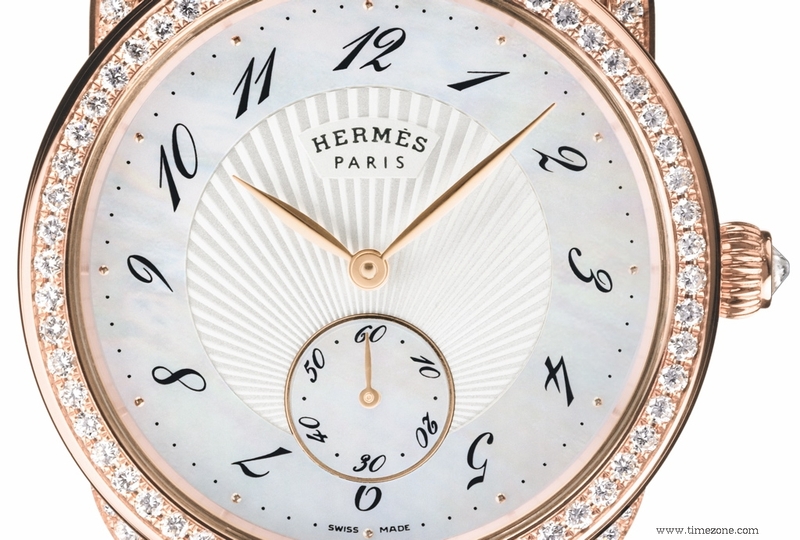 This limited edition features an 18-carat rose gold case and is gemset on both the bezel and strap attachments, while the dial is graced with natural white mother-of-pearl surrounding a silver-toned centre. 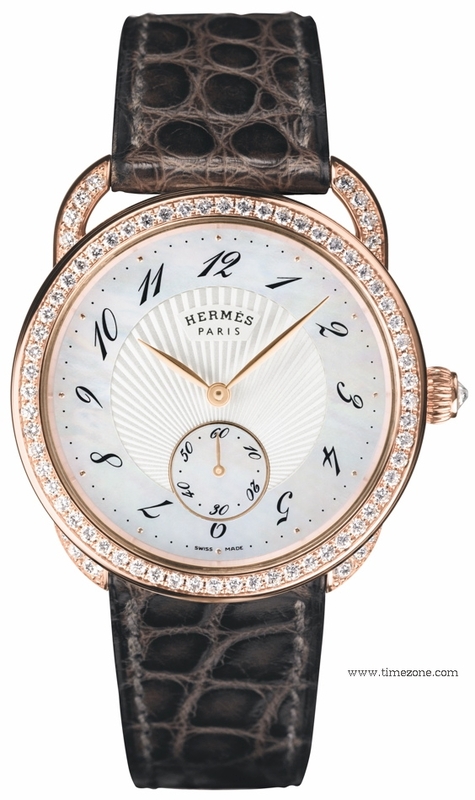 Finally, a padded saddle-stitched alligator strap entirely made in the Montre Hermès workshops in Brügg sets the final touch to this composition.